Alex Ovechkin scored his 30th goal of the season but the Blues came back to beat the Capitals 5-2 on Thursday night after Oskar Sundqvist knocked in the go-ahead goal. Ovechkin's first-period score snapped a six-game drought and tied him with Mike Gartner as the only players in NHL history to begin their careers with 14 straight 30-goal seasons. Gartner scored 30 or more in his first 15 seasons for Washington, the Minnesota North Stars, the New York Rangers and Toronto from 1979-94. Sundqvist's goal stood as the game-winner. Sundqvist missed the first eight games of the season with head and shoulder issues after a hit from Washington's Tom Wilson in a preseason game on Sept. 30. Wilson ended up being suspended 14 games. Robert Bortuzzo and Wilson got into a fight early in the second period. Parayko's power-play goal tied it at 2 with 7:37 left in the second period. That ended an 0-for-21 slump with the man advantage on home ice for the Blues spanning seven games. Sundqvist gave St. Louis a 3-2 lead with a diving sweep of a rebound off Pietrangelo's shot from the point with 3:27 remaining in the second. 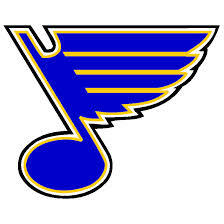 The Blues host the New York Islanders on Saturday. Devin Toews knocked in the rebound of his own shot at 1:48 of overtime to lift the Islanders past the Chicago Blackhawks 3-2 Thursday night for their fifth straight win. 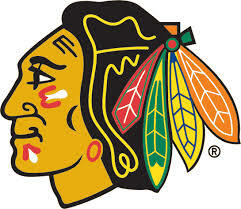 The Blackhawks are at Pittsburgh on Sunday to complete a two-game trip.